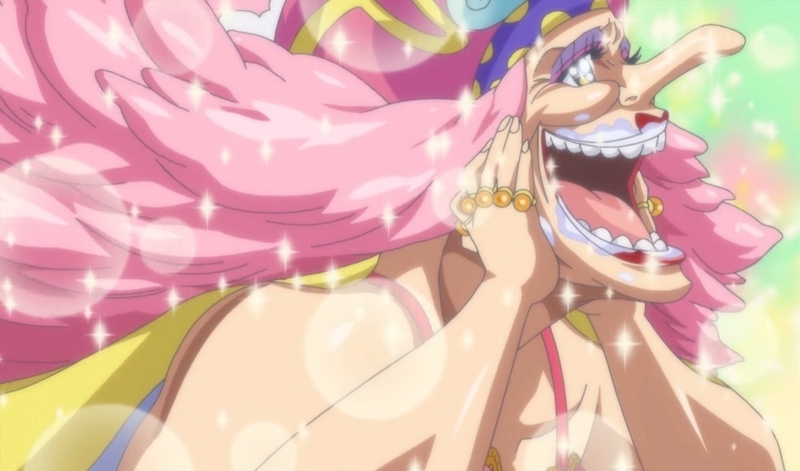 ‘One Piece’ Chapter 938 Release Date, Spoilers: Big Mom, Queen Fight Over Tasty Dessert? Many are expecting that one of the highlights of “One Piece” chapter 938 is the confrontation between Big Mom and Queen. The previous installments show they both love a dessert so much that they might just have a battle for it. Big Mom got separated from her children upon arriving in Wano and is seemingly suffering from amnesia. However, she certainly did not forget her love for food, especially sweet dishes. In chapter 937, all she kept thinking of was shiruko and she appeared to be in a good mood. But fans know well that things could go south very quickly if Big Mom cannot satisfy her cravings, which is a likely scene in “One Piece” chapter 938. Finally, Big Mom gets... ???? [From Ep. 875] Watch the latest episodes: https://funi.to/2XUX76W Tune in 3/16 for episode 376! Interestingly, Queen the Plague was also gorging on endless bowls of shiruko in chapter 937. He also made it very clear that he does not intend to share his shiruko. Big Mom, Chopper, Tama, and Kiku all heading to Udon where Luffy and Queen are. And the previous shiruko-related scenes could be foreshadowing a fight in “One Piece” chapter 938 between Big Mom and Queen. Meanwhile, fans also speculate that Big Mom’s arrival in Udon will lead to Queen assuming that she is working with the Straw Hat pirates. Queen will most likely order someone to report this to Orochi and Kaido in “One Piece” chapter 938. And this could lead to a very interesting twist of events in the upcoming chapters of the Wano arc. It is also possible that “One Piece” chapter 938 will give an update on Zoro, Komurasaki, and Toko. He was badly injured but will most likely defeat Gyukimaru and Kamazo in “One Piece” chapter 938. In this case, he can peacefully talk to Komurasaki and Toko. The former courtesan might have something that can heal Zoro. Their meeting might also lead to a bigger storyline in the upcoming chapters. It can be recalled there have been speculations that she is Momonosuke’s long-lost sister. “One Piece” chapter 938 is slated to drop on Monday, April 1.